Fancy a free read? Click here! Follow THE SWORDS OF AN ANGEL! GET AN ARC COPY FOR REVIEW, LISTEN TO MY PLAYLIST, JOIN MY BETA READERS TEAM. Don’t miss these September Giveaways! FREE for the members of my email list!!! I want to show you guys my appreciation for joining my list with this gift! or fill in the form on the Newsletter page. Join my list and grab your freebies! A boy, who will never grow to be a man, on the first and the last day of his real life. Stavros has always known that he is no ordinary boy. It was an undisclosed mission that brought him to the human world. His life has been nothing more than a preparation for this day. The moment of illumination has come, but at what cost? In the Song of the Sea miracles do happen, but not without reason. 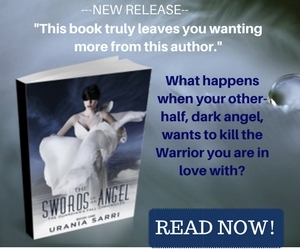 Join the pre-launch campaign, The Swords of an Angel, a paranormal fantasy romance by Urania Sarri. The Deadlock series book 1. 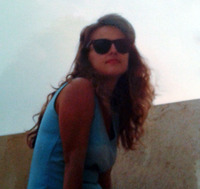 Paranormal, time-travel romance. Verbally abusive relationships: where do they come from?